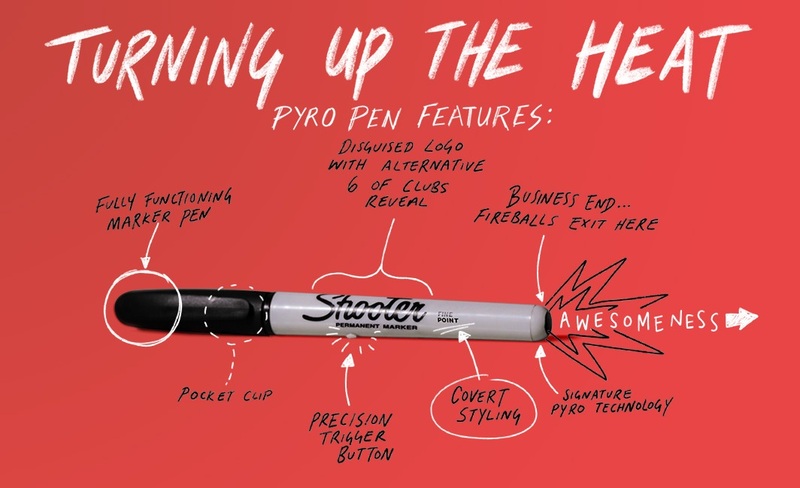 At first glance, the Pyro Pen looks and even functions like a real Sharpie permanent marker, but at the push of a button, it becomes a flame-throwing machine. Is it safe? 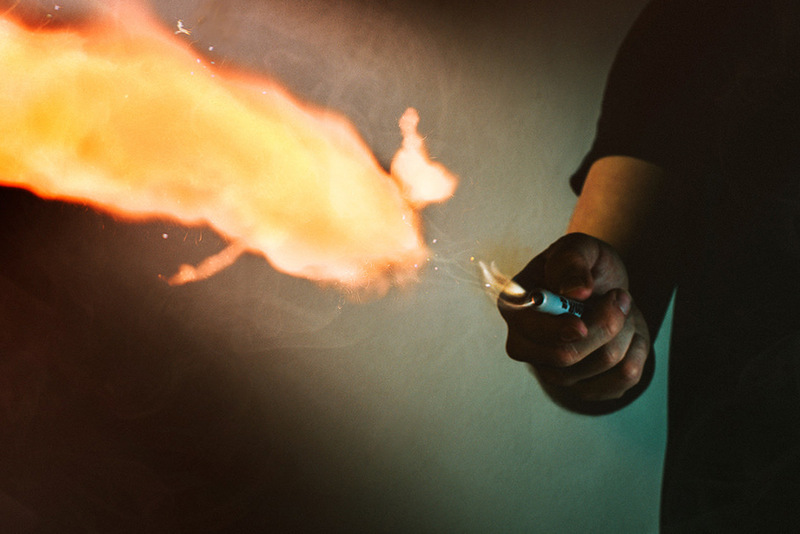 The company claims that the secret is that the barrels are filled with ‘flash’ paper, or a specially-treated tissue paper that burns extremely quickly and is gone in the blink of an eye. There’s also an LED inside to notify you when the device is armed and ready to fire – blue light shows when it’s on, so if it is, you’re able to keep the fireball end away from your face and body. Read more for a video, additional pictures and information. 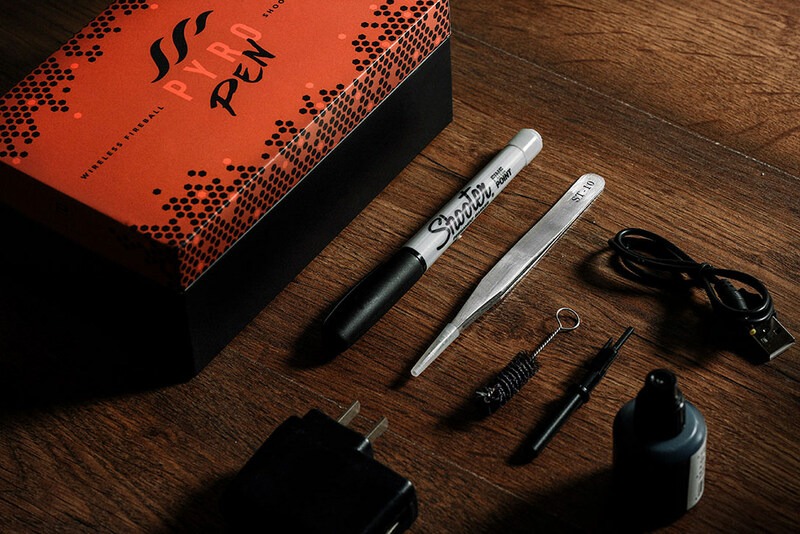 The pen itself has been designed to contour to your palm like any other marker, with the “FIREBALL” button strategically located for maximum safety. However, accidents do happen, so if you should push the button unintentionally or whilst in your pocket, it won’t fire. A built-in delay requires 3-seconds of constant pressure to turn the device on, thus preventing it from accidentally going of when the pen is being used as a standard marker. “As soon as you open the box and feel the unit yourself, you can feel the quality and level of R&D that has gone into the production of this new device. Over 4 years of refinements and countless prototypes, all of our Pyro products have gone through hell and back, pressure and temperature stressed every individual component – the heater coil though to the outer plastic and cycle tested through to failure, to guarantee performance and longevity of the final unit. What you have after all of this, is a device that both Ellusionist and Adam Wilber are proud to stand behind,” according to its creators at Ellusionist.